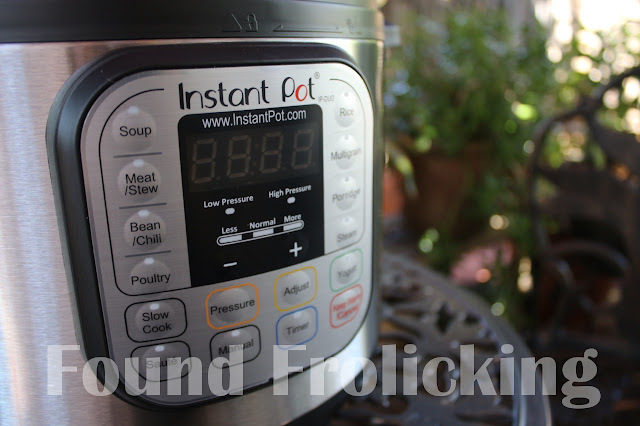 Disclosure: Thank you to Instant Pot for partnering with Found Frolicking for this review. I received product in order to facilitate this review. All thoughts and opinions expressed below are my own. For more information, please refer to the disclosure that can be found at the bottom of this post. There are two things that always top my list as far as time-consuming tasks go: cooking and cleaning. Unfortunately there is no fairy godmother, and no magical slippers, or genie in a bottle that could ever deliver a clean home and healthy meals to our household instantly, and without my ever having to lift a finger. Despite the work involved, I cook the majority of our meals from scratch, knowing it's the best way to control the portion of each ingredient and also retain most of the nutritional value in the food. But it's hard to be exhausted at the end of the day from working, caring for a toddler, and cleaning. Yet I spend an average of three hours a day preparing the evening meal for my family. Maybe this even sounds familiar to you, too. Luckily, things just got a whole lot easier for me thanks to Instant Pot! Instant Pot is an electrical pressure cooker that can reduce cooking time by up to 6x that of traditional cooking methods, and using up to 70% less energy! Invented in 1979 by a French physicist, pressure cookers control the amount of steam that escapes a sealed vessel, allowing for a rapid cooking process. Since their invention, pressure cookers have continued to evolve, with the first electric pressure cooker being patented in 1991. The features that make it time efficient also make it extremely energy efficient, making it one of the greenest kitchen appliances you can own. You can find out more about what makes Instant Pot a green appliance by clicking here. There are so many benefits to pressure cooking, including saving time cooking and cleaning, as well as energy, and water. Instant Pot was designed in Canada to be safe, convenient, and dependable for the user. 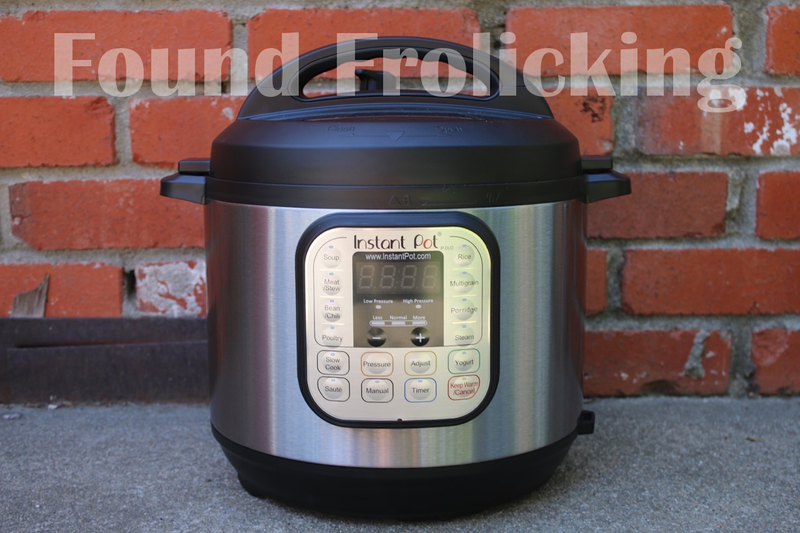 Even better, the Instant Pot features a 7-in-1 capability allowing you to use it as a pressure cooker, slow cooker, rice cooker, yogurt maker, steamer, food warmer, and to brown or saute food. Want to use Instant Pot but not sure how to use it and where to begin? There is an amazing collection of recipes available directly on the Instant Pot website, allowing you to browse by cuisine type, diet type, and even food categories. You will find more Instant Pot recipes than you'll know what to do with! I'm not entirely unfamiliar with pressure cookers, having owned a traditional stove-top pressure cooker. However, the benefits of using Instant Pot struck me instantly when I heard about it, and I knew it was something that I had to have in my kitchen. It may not look like much compared with some small kitchen appliance on the market that have a seemingly endless number of bells and whistles... but don't let that fool you. The Instant Pot delivers each and every time with a consistent and reliable performance. I found the functions to be straightforward and easy to use. The design makes this appliance durable, with very few small parts to worry about breaking or getting lost. This sleek model conveniently fits on your countertop and underneath cabinets, without taking up a lot of space. Using the Instant Pot for the first time, I was shocked that I achieved perfect cooking results after following the simple instructions in the manual. 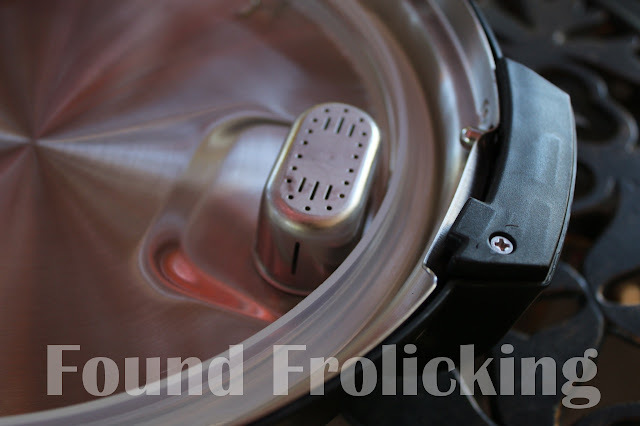 Learning to use my stovetop pressure cooker came with quite a learning curve, and it required a lot of trial and error to perfect the cooking method. 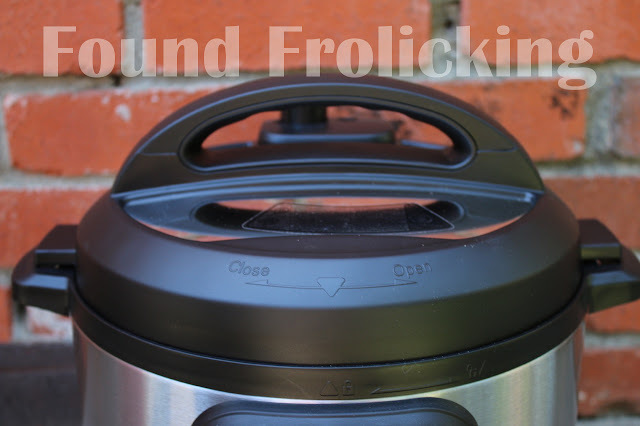 The frustration that naturally comes along with that was completely eliminated by the simple, straightforward functioning of the Instant Pot. Having the Instant Pot made a dramatic impact on my routine in just the first month of use. I don't have to worry about supervising meals in the Instant Pot so they don't burn, or overcook. I can set the Instant Pot using the 12 turn-key function keys, then walk away and focus my attention elsewhere. For me, this means more quality time spent with my son that would otherwise be dedicated to standing in front of the stove monitoring the evening meal. I make it a priority to incorporate a lot of dried beans into our diet, due to the protein and fiber they offer, in addition to being extremely budget-friendly. I've found Instant Pot to make it easier than ever to pressure cook dried beans, and have been impressed with the perfect result of each batch. This handy little pressure cooker has become a priceless and irreplaceable part of my kitchen. Instant Pot has changed the way I utilize my time and prepare meals! To purchase the Instant Pot today, you can find it directly on the Instant Pot website. Instant Pot can also be conveniently purchased on Amazon.com (affiliate link). Simple, yet packed with nutritional value, this recipe is a household favorite. I have been making this dish for years, evolving the recipe over time until I was finally satisfied with the result. But it is more efficient and delicious than ever when I discovered how to make it using Instant Pot. All of these ingredients can be found at your local grocery destination, ordered online, or located at your closest Indian grocery store. I hope you enjoy it! Put the water, moong dal, tomato, zucchini, spinach, onion, and turmeric powder into the Instant Pot. 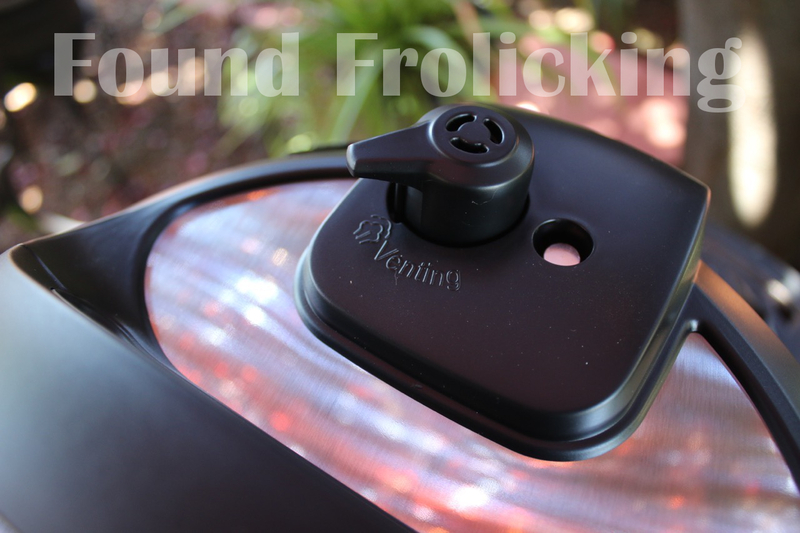 Lock the Instant Pot lid securely and flip the venting switch to trap the steam inside while cooking. Set on Beans/Chili function. When cycle is complete, the dal should be mostly disintegrated, but still with some texture. If not the right consistency, which may be the case depending on the batch of beans and accuracy of measurements, add more water and repeat function if necessary. Once proper consistency is achieved, heat oil over high heat in a small saucepan for several minutes. Drop in a single cumin seed to test the oil. If the seed sizzles and cracks, add the cumin seeds and garam masala. Remove from heat. Stir in the asfoedita powder and cayenne. Pour over the dal and mix in, along with the fresh ginger and salt. Pour into serving bowls or onto plates and garnish with a spoon of hari chutney (or more to taste). Serve with rice, roti, or naan. Enjoy! Meet your new best friend! 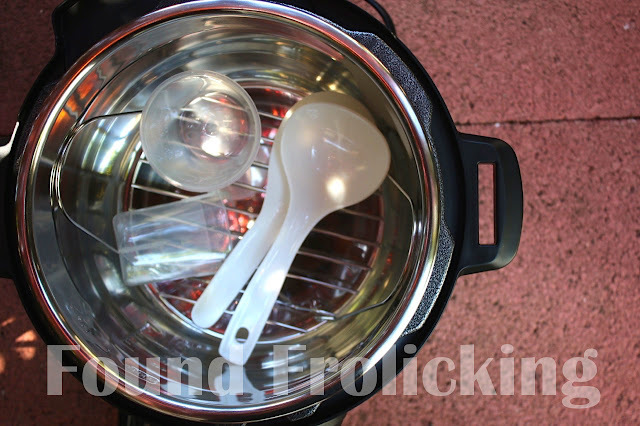 This is the Instant Pot 7-in-1 multi-use pressure cooker! A closer look at the different Instant Pot functions. The lid of the Instant Pot as viewed from above. This little piece is where the Instant Pot releases steam while cooking. This is where the steam from inside the Instant Pot exits. 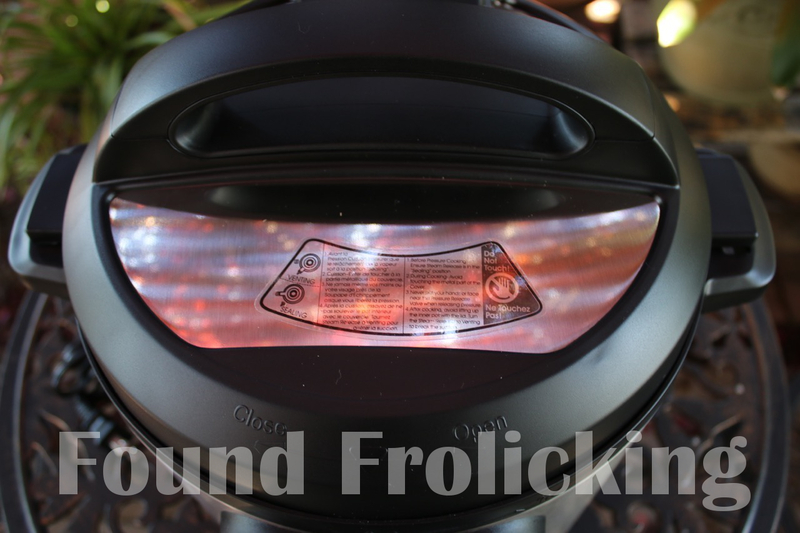 The Instant Pot lid slides open and closed, and sounds an alert to inform you it has closed when plugged in. A look at the interior of the Instant Pot and all of the included accessories. 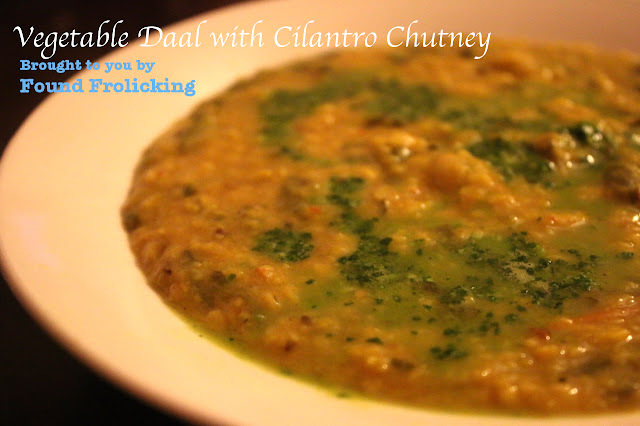 My recipe for daal (also spelled "dal") which you can make now or Pin to save for later! Disclosure: I received product in order to facilitate this review. All opinions expressed are my own, and were in no way influenced by the brand or any other sources. The post, recipe, and all photos with the watermark are the property of Found Frolicking, and should not be used or distributed in any way without first receiving permission. Found Frolicking is in no way responsible for prize shipment, but will work with the sponsors in all ways possible to ensure the winner receives their prizes. I love the sound of this. I can't wait to check it out. Now I want to get a pressure cooker. I like the idea of cooking things faster in it, and this recipe sounds lovely. I haven't seen a pressure cooker in a very long time. I really thought they were a thing of the past. At least they aren't like grandmother's old pressure cookers. I think it whistled or something like that and you had to release the pressure before you open it. Looks like the perfect addition to a busy family's home. I wouldn't mind having one as I like the idea of being able to have meals ready more quickly if needed. Oh gosh! Ok, I'm writing this down because I actually was looking at buying a pressure cooker this weekend. This looks perfect! I love that you just plug it in! I have the old school pressure cooker. This one looks so nice and easy to use. I love anything to help me cut down on cooking time. The Instant Pot may be the item I have been looking for. Thanks for sharing. Instant Pot sounds like a great way to save a lot of time in the kitchen. Reducing cooking time by up to six times is amazing! Wow that would be welcome in my kitchen. Pretty sure my daughter-in-law would love it too. This sounds like something I would love to have indeed. The Instant Pot would make cooking so easy and worry free. I will have to check it out for sure. Thanks for sharing. I would love to have one of these pots. It is just my husband and I so what we don't eat we can freeze it or eat it the next day. Thank you for the recipe. Great things on this blog.